Well here we are in 2015! We hope your holidays were filled with much joy. We enjoyed our time off over the holidays, spending a lot of time with family and dear friends. Why does it always seem to go so fast? In appreciation for bearing with us while we took a little break, we are coming back with a bang! Are you ready for me to blow your mind? 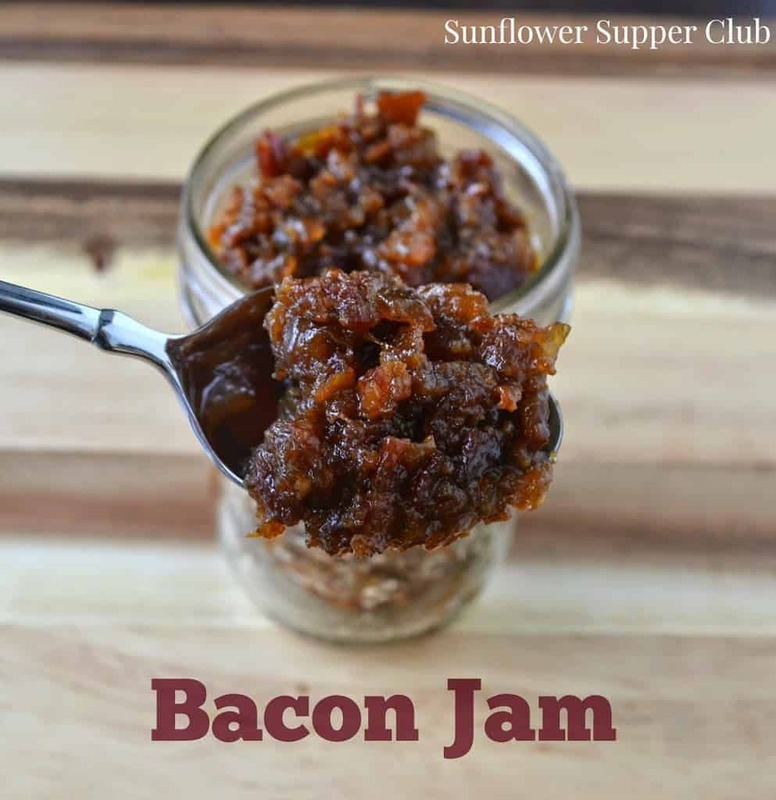 If you have never had Bacon Jam, you have not been living your life to the fullest. I’m pretty sure you can spread this delicious concoction on just about anything. 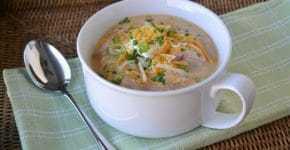 Use it as an appetizer slathered on bread, toss with some roasted potatoes, or stir into mashed potatoes. You can add a little to some pasta with a creamy sauce. It is also excellent used on a burger or sandwiches. We added it to our Turkey Paninis the other evening, and it was outstanding. Yesterday morning I had a little mixed in with my eggs for breakfast. See what I mean? The possibilities are just about endless. Make a batch and share with a friend. She will love you for life! In a large heavy pot (I used my Dutch Oven) over medium heat, cooked the bacon until browned and crisp. Remove the bacon from the pan with a slotted spoon and set aside on a paper towel lined plate to drain. Pour off all but about 2 tablespoons of the bacon fat and add the diced onions and garlic. Cook for about 5 minutes until the onions are soft. Add the coffee, apple cider vinegar, brown sugar, syrup, Balsamic vinegar, chili powder and cayenne pepper. Bring the mixture to a boil, reduce the heat and simmer for a couple of minutes. Make sure to scrape any browned bits from the bottom of your pot. Return the bacon to the pot and continue a slow simmer until the jam is thickened and the liquid is almost completely evaporated. This will take about 1 to 1½ hours. Set aside to cool slightly, about 10 minutes. Transfer the jam to the bowl of a food processor and pulse until coarsely chopped, about 5 or 6 pulses. Transfer the jam into glass jars and store in the refrigerator for up to 2 weeks. The jam is best served slightly warmed or at room temperature. Blows my mind for sure! Sounds fantabulous!! Happy new year to you and yours.